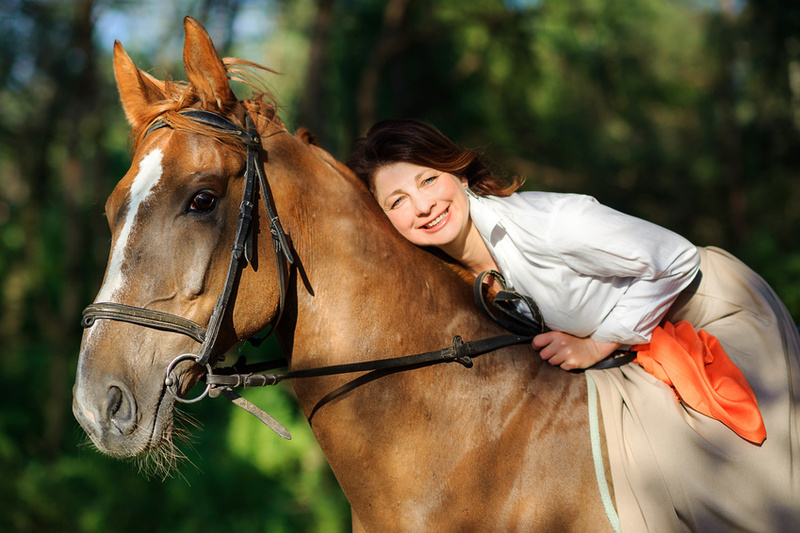 THRIVE: Getting back in the saddle after a setback — Maestro Quality Inc.
BY GUEST BLOGGER, LIZA Provenzano, Founder and Principal Consultant of SparkHR. Many years ago, I used to ride horses. It was an activity that was challenging and exciting and I had to be strong and confident to direct such a powerful and majestic animal. I loved it. Until one day when the horse and I were rounding a corner to take a jump and he decided to stop in his tracks. Given the laws of physics, I kept going – right off the horse, into the fence and onto the ground. My instructor came running over to see if I was alright. A little shaken, I stood up and brushed myself off and said I was ok. She told me to get right back up on that horse! “Do it right now!”, she said, and “Be strong!”. I hoisted myself back up and I continued my ride. I was reminded of this experience recently when I had a setback in my work and while it thankfully wasn’t something that impacted any clients, it “threw me” when it happened. Setbacks, big and small, are part of life so it certainly wasn’t the first time I’ve had to contend with something like that. Nevertheless, it slowed me down and it took effort to get back in the saddle again. It got me thinking about dealing with setbacks and what has worked for me over the years. Here are 3 things I’ve learned about how to pick myself up again. A setback is fertile ground for all of that inner chatter to sprout and tell you all the reasons why you aren’t good enough and that this was bound to happen and that you should have known and that if you hadn’t done this or that…..you get the picture? It’s that voice of an inner critic which creates second guessing and self-doubt. It saps energy. While it’s tough to ignore, it’s necessary to do exactly that. This mind chatter isn’t helpful and while it may not go away entirely, it will quiet down if you don’t give it your attention. It’s not the type of thinking that will be useful in moving forward so if you can’t ignore it, acknowledge that it’s there but whatever you do, don’t listen to it. Take a bit of time to reflect and consider what there is to learn from this experience. Every time I have had a setback, I have learned something. Every time. I’ll repeat that again. Every time. I was willing to look. Quite simply, I thought to myself, “I’m not going to feel this crummy for nothing. I might as well see what I learn from it”. When I have taken that perspective, I shifted from feeling powerless to moving forward. Perhaps the setback happened because you need to change course? Maybe you need to stay on the same path but change direction? Often setbacks are life’s way of pointing to a gap between the present reality and a better possibility. Granted that it’s often not easy to see in the moment. However, if you look back over setbacks that have happened, can you see the gifts, the learning and the growth, that resulted once you moved forward? Trust in that the next time you are dusting yourself off. It’s understandable to feel lousy. However, at some point, it’s time to tap into that wiser side of oneself and look at the next step. Ignoring the negative mind chatter opens up space in our minds for more useful thinking to emerge. This is the thinking that is practical, composed and wise. From this place, we may see options available for action. Even if it’s a small action, it matters. As long as it’s meaningful to you, that action can restore enough energy to get going again. It can refocus your efforts in whatever direction you choose. Consider your experiences with setbacks. What about your reactions to setbacks has not been helpful to you in the past? More importantly, what has worked for you that has helped you to get back on track again? Know what works for you because chances are, you’ll need to tap into that again. About Liza Provenzano: An experienced HR professional, Liza works diligently with business owners and leaders to build workplaces in which all team members can contribute their best. She is a trusted advisor, problem solver, coach, facilitator and consultant who practices HR with “heart”. She cares about the impact of the HR work delivered by SparkHR and this is reflected in the delivery of the services. Liza’s experiences were shaped by educational pursuits at the University of Windsor (Bachelor of Commerce) and at Queens University (Master of Industrial Relations) where she eventually focused her studies on understanding how effective and necessary human resources practices contribute to a sustainable and thriving business. Twenty years of progressive work experiences in large organizations provided ample opportunity to develop practical and in-depth experience and knowledge in the HR profession as well as develop managerial and leadership skills needed to lead a team. Taking on Senior Executive responsibility in various H.R. roles enabled Liza to successfully navigate through many business situations. She understands the challenges leaders face and is an avid supporter of the work that leaders do in the workplace. A believer in the importance of ongoing learning, Liza makes a focused effort to stay current in emerging developments in employment and HR best practices. Liza and Patricia (Maestro Quality Inc.) are members of the Mississauga Board of Trade HR committee. Liza and Patricia work together diligently and with "heart" to interpret the impact of new legislation on business owners, employers, and employees in the City of Mississauga. Did you enjoy Liza's post? Contact Liza at lprovenzano@sparkhr.ca or phone 647-228-3395. Visit Liza's website at http://www.sparkhr.ca . Follow and connect with Liza on Social Media. Twitter. LinkedIn.